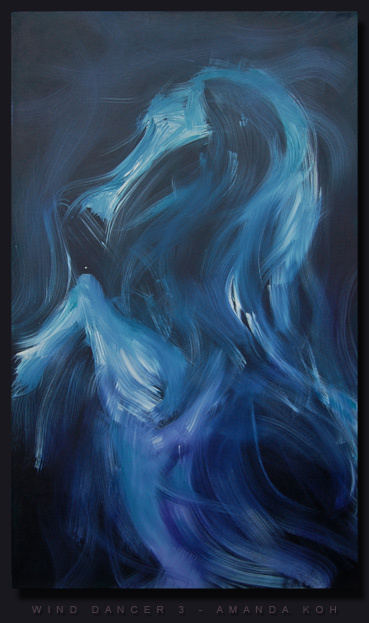 Spirit Rising (1999) - Acrylic on Canvas 24"x84"
This painting of Spirit was created in 1999, and at the time, I believed it was a self-portrait, representing my own consciousness rising. Years later, however, I began to realize this could be representative of our collective consciousness rising at this time. Eagle Spirit (2005) - Acrylic on Canvas 48'x30"
This was a personal inspired image, which came forth at the same time I was painting The Spirits Rising (triptych) - 2005, and is connected with the hear of those paintings as well. In Eagle Spirit, I have represented my ethereal muse, Spirit, with an eagle feather mounted at the base of his forehead. The eagle feather depicted was one I had recently been gifted by a Native American woman, who set out along the shores of Lake Superior to bring it back for me. I painted this feather here to commemorate it, and re-gifted the feather afterwards. I believe this painting represented a time of great guidance from the animal spirits for me, and in particular, from the Eagle. As I felt Spirit was a representation of Self, this was a self portrait representing my honor to receive such guidance, and to carry it with reverence. "The Spirits Rising" (2005) - Acrylic on Canvas - 48'x105"
This was a triptych created in an inspired moment. Similarly to the time when the painting “Spirit Rising” -1999 came through, I had intended different images for these paintings. In the literal 12th hour, I had painted over all of my previous imagery with black paint, in order to start fresh. 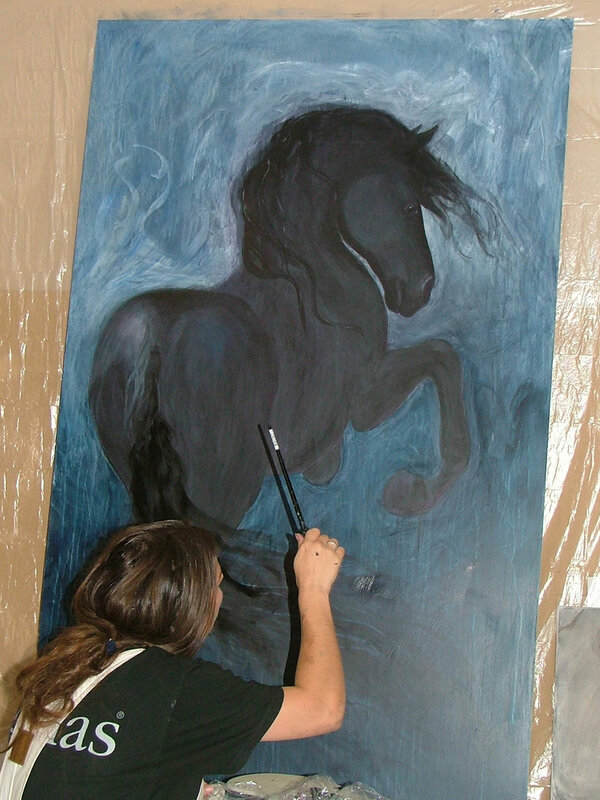 As my hand swirled a white pastel on the right side canvas to explore what wanted to emerge after the fresh start, I suddenly entered a flow state, and the basic sketch for the horse on this panel burst forward within seconds. I leapt for joy in the moment I finished this first horse sketch, and continued to finish these three paintings on that one night. I felt they were a further indication of our rising consciousness in the world… this time highlighting the individual spirits rising in consciousness together. 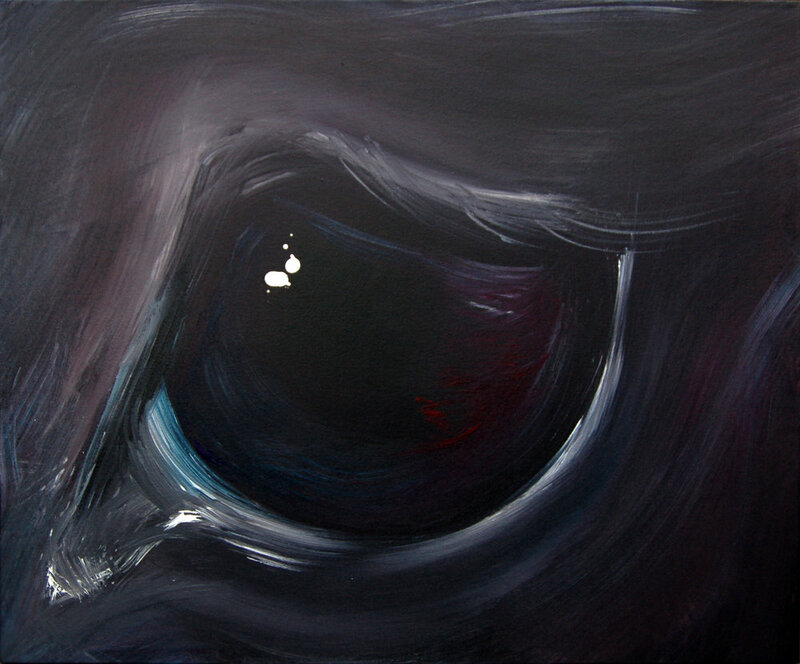 "The I of Love" (2007) - Acrylic on Canvas 18"x24"
This was another painting which flowed through, created as a focus on the soulful expression in the eye of a horse. I called it the “I” of love, to represent the source of love being the “Self” within, but evident through the eye itself. This painting was sold at a charity auction during a horse show in Boise, Idaho in 2010.